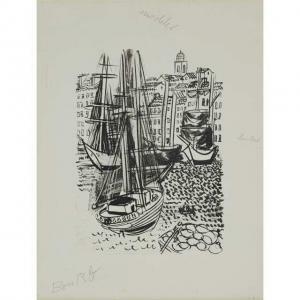 Find artworks, auction results, sale prices and pictures of Raoul Dufy at auctions worldwide. 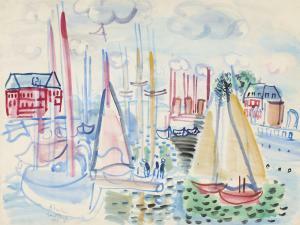 Raoul Dufy (1877-1953) Voiliers dans le port de Deauville signed, dated and inscribed 'à Emiliene Raoul Dufy 1929' (lower left) watercolour on paper 19 1/8 x 25 3/8 in. 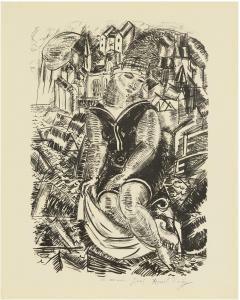 (48.7 x 64.5 cm.) Executed in 1929 Provenance Galerie de France, Paris. 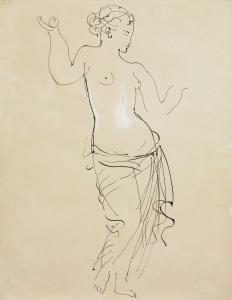 Anonymous sale, Sotheby's, London, 4 December 1974, lot 202. 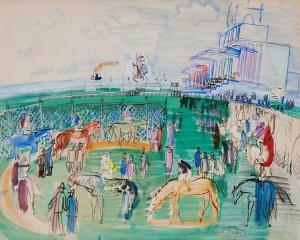 Acquired at the above sale by the present owner.